Virtual Reality is reaching a new level of immersion. Offer your guests the opportunity to experience some of the most interactive technology available. Team building exercises are taken to a new height with this technology.Your guests will be queuing up to see what all the fuss is about! The VR Arena allows up to four players at a time to enter a virtual world, where they will work together to ace a game. Putting the goggles on instantly transports them to another world. The VR Arena is an unforgettable experience that will have every type of audience marvelled and wanting another turn! 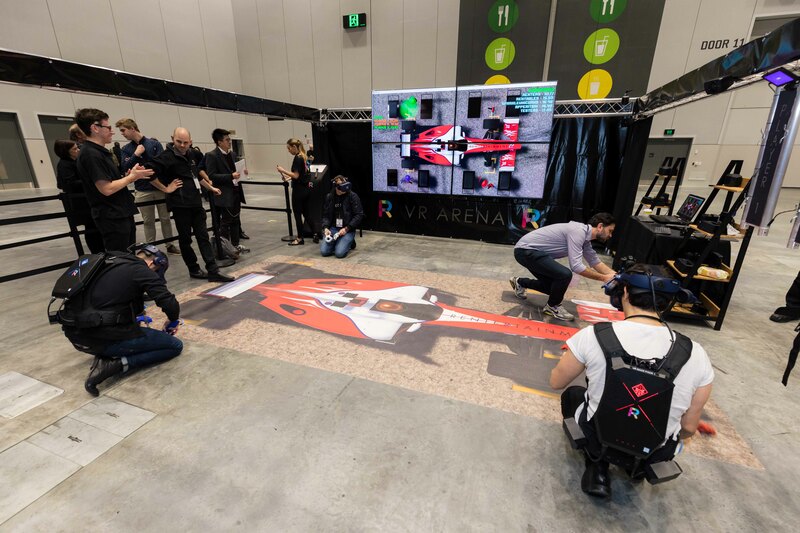 Contact us to find out how you can bring the thrill of the VR Arena to your next event!